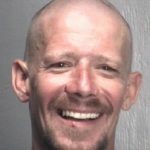 A surfboard was all that got in between the knife of an angry fisherman and the surfer he believed had cut his line, as Wrightsville Beach police charged Jeffrey Brian Caithness, 35, with assault with a deadly weapon, damage to personal property and other offenses after a Friday, August 3 confrontation near the Crystal Pier. Shortly after 3 p.m., Caithness began arguing with a surfer who was paddling north around Crystal Pier, who he said was too close to the fishing lines being cast from the end of the pier on the Wrightsville Beach south end. At one point, a fisherman threw a line that wrapped around the leash of the 30-year-old surfer, as the surfer and Caithness continued to exchange words, Wrightsville Beach police said. Once the surfer paddled to shore, Caithness came down from the pier and continued arguing with the surfer before producing a knife and then twice stabbing the board the surfer was holding between his arm and his body. Wrightsville Beach Police Captain. J. Bishop said that while it appeared that Caithness intentionally stabbed the surfer’s board, it wasn’t clear if the fisherman was trying to stab the surfer. Caithness was arrested and taken to the New Hanover County jail, where he was charged with assault with a deadly weapon, damage to personal property, intoxicated and disruptive behavior, communicating threats and resisting an officer. Police said that Caithness had non-extraditable warrants in Florida and Pennsylvania. While Wrightsville Beach police arrested one man on charges of animal cruelty, in a similar incident, a woman who left her dog in the car never came to retrieve the animal after authorities opened the car and removed the animal. James Calvin Leggett, 31, was charged with cruelty to animals and resisting arrest on July 4 after bystanders reported a dog, a chocolate lab, locked in a hot car on July 4 at the Holiday Inn in Wrightsville Beach. 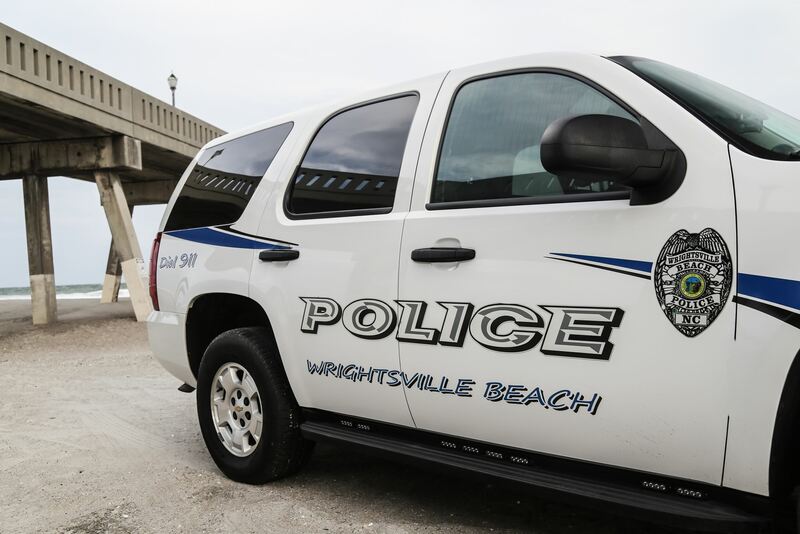 At about 4 p.m., while police were trying to find a way into the car, the car’s automatic lock triggered, Wrightsville Beach police said. Leggett, having notice the police, tried to walk away, but was discovered sitting on the steps by the hotel’s pool. The dog was locked in the car with the windows rolled up and no food or water, police said. In a similar incident earlier on the same day, witnesses reported a dog in a car parked near 4 Live Oak Drive. Wrightsville Beach police responded, opened the car and removed the 10-pound long-hair chihuahua. Police left a note and a business card on the seat, but were never able to find the owner of the car, which was registered to a 28-year-old woman from Kannapolis, N.C. She never came to retrieve the dog, police said, and after three days, the dog was transferred to the county’s animal shelter. Wrightsville Beach police charged a man with indecent exposure after a woman saw him expose himself while in his car at a parking lot near the beach. Police said a woman reported Ramiro Diaz Montero, 36, near beach access no. 3 on Aug. 1 at about 1 p.m. She gave a description of the red-over-tan Ford 150 that police said Montero was driving, adding that he had exposed himself in his vehicle and while outside his vehicle, while he appeared to be working on the back of his truck. Police said Montero moved to access no. 4, where he was confronted by police and arrested. 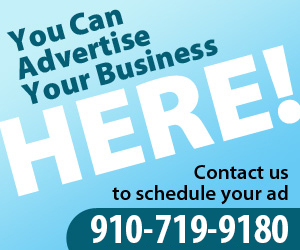 Wrightsville Beach Police Department Capt. J. Bishop said that calls for indecent exposure of men in vehicles in beach parking lots is not uncommon during the summer.